This giveaway is now CLOSED. Thanks so much to our wonderful sponsor b-glowing.com! We look forward to working with you again! I have a beauty fairy godmother! A beauty butler! No, wait, my very own personal beauty concierge who is there to fulfill my every beauty need, who wants me to not just be beautiful, but to also 'b-glowing'. There are tons of choices out there when it comes to beauty & brands and it's pretty easy to get overwhelmed! Some brands whether in store or online just 'feel' totally un-approachable and un-friendly, they exude an air of 'snooty-ness' of 'I'm too good for you, so buy quickly and get out'. Then there are beauty brands that feel more like your bestie, they want you to have fun and experiment, kind of like your favorite learning museum that encouraged you to touch everything and learn by doing as a child! Ƹ̵̡Ӝ̵̨̄Ʒ - To provide exceptional and personalized service to its clients. 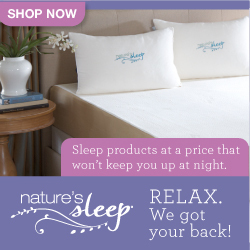 Ƹ̵̡Ӝ̵̨̄Ʒ - To provide high-quality and superior products. Hmm.....I personally think they exist just to make me squeal with delight.....but that would be rather selfish, so I'll share my experiences instead! My experience with b-glowing was amazing, I was allowed to compile a beauty wish list and they fulfilled with flair, the presentation on the products was amazing, they truly made me feel like Cinderella! I have been totally spoiled to any other shopping experience when it comes to Beauty. And that's a HUGE wow! The service I experienced was truly beyond compare. beauty blender is the first ergonomically designed non-disposable sponge applicator that allows you to flawlessly apply your makeup. It allows you to access hard-to-reach areas with stunning ease and results in a flawless complexion. Considering it has a butterfly on the packaging, I don't know how I went so long without trying it! Silk Sheets Luxury Foundation - OK so you can't try out a blender sponge without Foundation right? I tried out the Silk Sheets Luxury Foundation in Medium and was quite pleasantly surprised to find a foundation color match for myself so easily. I usually have trouble with this actually trying them out in store. Luxe foundation infused with fine silk fibers, juniper, almond seeds, and skincare treatment ingredients that give your skin a supple, youthful freshness. Think of this face foundation as makeup and skincare together - with silk and hyaluronic acid, the formula will never sit in those fine lines, but instead, it will give them moisture and an appearance that automatically radiates. Silk Sheets face foundation contains Juniper, almond seed extracts, and nettle to add to the richness by moisturizing and lightening while algae, rice protein, and seaweed act to tighten and plump. It feels deliciously silken (hence the name), as if you're slipping into the most amazing silk bias-cut couture gown after waking up in the finest of… guess what?... silk sheets. Mixed Chicks Leave In Conditioner - As seen in "InStyle" magazine. One of Halle Berry's Top 5 "Must Have" beauty essentials. The miracle leave-in conditioner for curly hair. Penetrates the hair shaft, conditioning as it smooths the follicle. MIXED CHICKS will leave your curls soft, shiny and defined! Work MIXED CHICKS through wet hair, air dry and style. The result is silky, healthy, naturally curly hair. Do you have frizzy hair? Do some products make your hair sticky or too heavy? MIXED CHICKS makes great curls without all the hassle! I have a friend who RAVED about this product, and I really love that it not only defines curls, but really is effective at knocking out frizz without leaving your hair sticky or tacky to the touch. The kai body butter is a silky whipped soufflé that contains amazing ingredients: a shea butter base, safflower seed oil, vitamins A, C, and E, aloe leaf extract, chamomile flower extract, cucumber fruit extract, apricot kernel oil, and the original kai perfume oil to give the body butter our signature kai fragrance. OK, so I did find out about this one via Oprah's Favorite things, ugh, thanks Oprah, I LOVE it! Thanks for creating a new body butter monster out of me! It's a decadent indulgence for sure, but your skin will never stop thanking you. This is rich, not greasy and a little goes a long way. I now want the perfume and the body buffer! Russian Amber Imperial Shampoo - I was sent samples of what is called 'the Fountain of Youth for hair'. This reconstructing shampoo rejuvenates and revitalizes all hair types, giving even chemically-damaged strands a dramatically youthful look, feel and radiance from the first application -- seriously! The results are as amazing as the sticker shock, this is a great but scary find, kinda like the body butter, I love it, but it's pricey for sure! I couldn't possibly recommend this company or this experience higher, I loved all the products I tried and b-glowing.com is now first on my mind for re-stocking my beauty supply cabinet. It's going to be a sad day when I run out of my body butter! Ƹ̵̡Ӝ̵̨̄Ʒ - WIN IT! - Ascending Butterfly and our friends at b-glowing.com would like to provide 5 lucky Ascending Butterfly Followers a standard size Natural Silk Pillowcase for signing up for their mailing list! (Each pillowcase = $47, overall ARV of this prize with 5 winners = $235) Sounds like a great win/win to me! Ƹ̵̡Ӝ̵̨̄Ʒ - Beautyzzz Natural Silk Pillowcase, is designed to work naturally with skin and hair and make nighttime beauty routines more effective. Ƹ̵̡Ӝ̵̨̄Ʒ - Unlike cotton, the amino acids in silk proteins resemble those found in human skin, creating a virtually perfect pH balance that does not deplete hydrating moisture. Don't you just ♥ b-glowing.com? I know I do! How to Win: (1) You must be a PUBLIC follower of Ascending Butterfly to be eligible for this and all giveaways. Indicate in your entry that you follow (if your 'comment name/user id' differs from your profile id, please let me know what name you follow under) and (2) sign up for b-glowing concierge's mailing list by emailing: concierge@b-glowing.com and noting that you want to be entered in the Ascending Butterfly giveaway. There will be a Random Drawing on 7/30 of 5 winners, drawn by b-glowing.com from the names of people who sign up for their emails. (3) You must also leave your email address somewhere in your comment. (You can format it this way for security, example: ascendingbutterfly AT mail host DOT com). (If your email is clearly visible in your profile, you can just say so, that's OK!) Please follow the easy 1, 2, 3 steps to winning (or in this case, the A,B,C’s of winning!) This giveaway is open to USA residents who are 18 years of age or older. Please remember, the giveaway winners will be drawn directly by the sponsor b-glowing.com, based on win it 'how to win' giveaway instructions provided above. You must sign up for emails and indicate you wish to be entered in the giveaway by sending an email to: concierge@b-glowing.com, 5 winners will be drawn on 07/30, I will post the winner's list as soon as it is provided to me by the sponsor. The sponsor will reach out directly to the winners for prize fulfillment. What a blast you must have had with all of those goodies! I follow you publicly (katygmorris). I just emailed them to subscribe to their mailing list with the email address below. I like b-glowing on facebook as Katy Morris and wrote on their wall that you referred me. I follow b-glowing on Twitter as @katygmorris. I just submitted this on Technorati as katygmorris. I follow you on facebook as Katy Morris. I follow you on Networked Blogs as katygmorris. I'm part of your community group and my username there is Katy M.
I just reviewed you on Alexa as katygmorris. I just voted for you on Blogger's Choice. I entered the iPad giveaway through your link and my confirmatino # is: 44931946. Emailed concierge@b-glowing.com and requested to be added to their email list. Hi, I'm a public follower of Ascending Butterfly. I signed up for b-glowing concierge's mailing list. My e-mail address is publicly visible in my profile. Thanks for the giveaway! I cannot tell if I just posted this comment or not. Can you please delete it if it's a duplicate? I follow and sent the email! I am a GFC public follower and I sent the email. Follow @bglowingcom on Twitter as willitara. I signed up, and I am following.